In these crazy social-media filled days, it’s pretty rare to travel someplace without having seen a photo of the destination. It’s even more unusual if the place happens to be jaw-droppingly beautiful. But it CAN happen! And this post is proof. 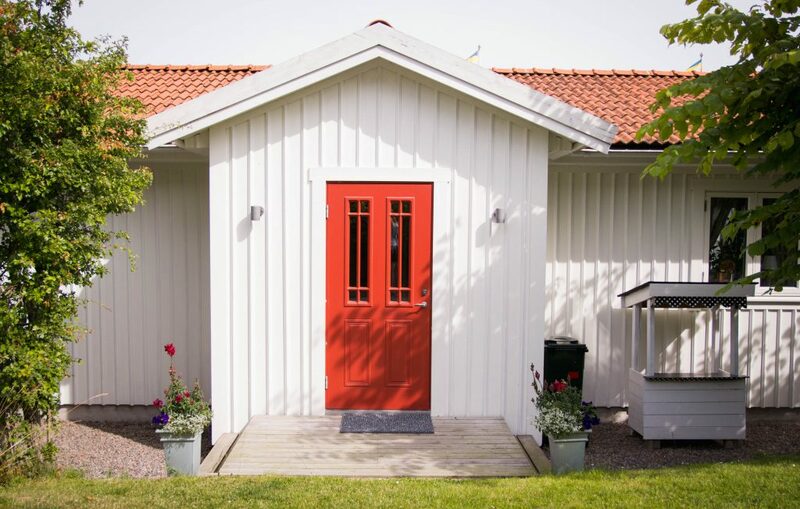 Let’s take a quick trip to Brännö, Sweden! At the start of July, I travelled to Gothenburg to visit a friend from university. 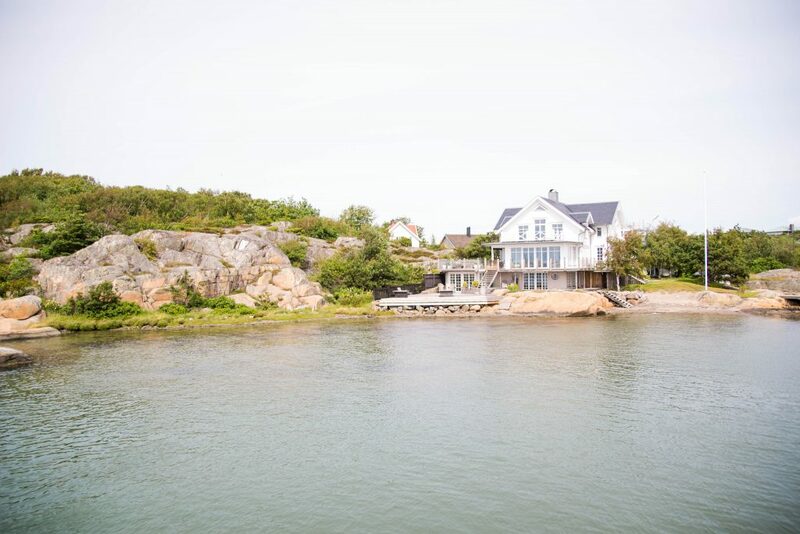 During my three days in the city, we decided to spend an afternoon in Gothenburg’s Southern Archipelago. If you’re anything like me, a self-confessed social media and Pinterest addict, you probably get your travel research done through hashtag searches and by clicking on the most captivating of pins. (If you don’t do that, I highly recommend giving it a try. You can discover some pretty awesome bloggers with equally awesome travel tips). 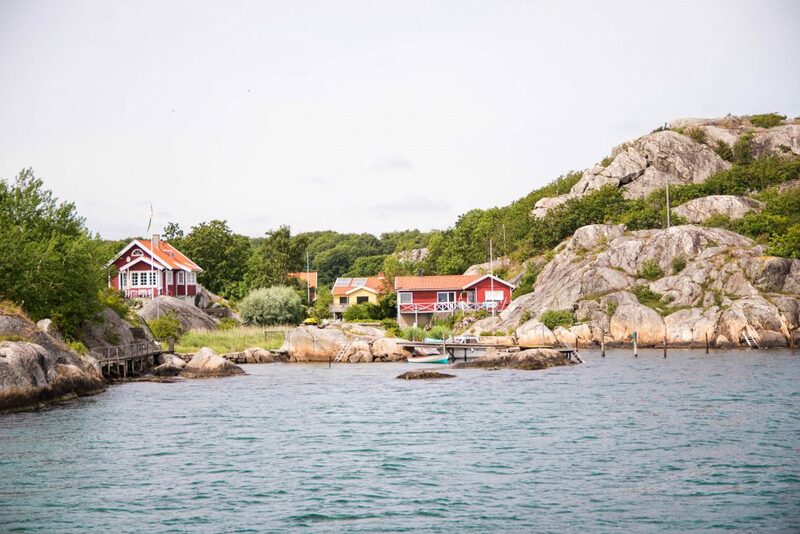 While looking into what I could see and do in the Gothenburg, I came across a handful of photos showcasing the archipelago’s rocky coastlines and dreamy rainbow sunsets. 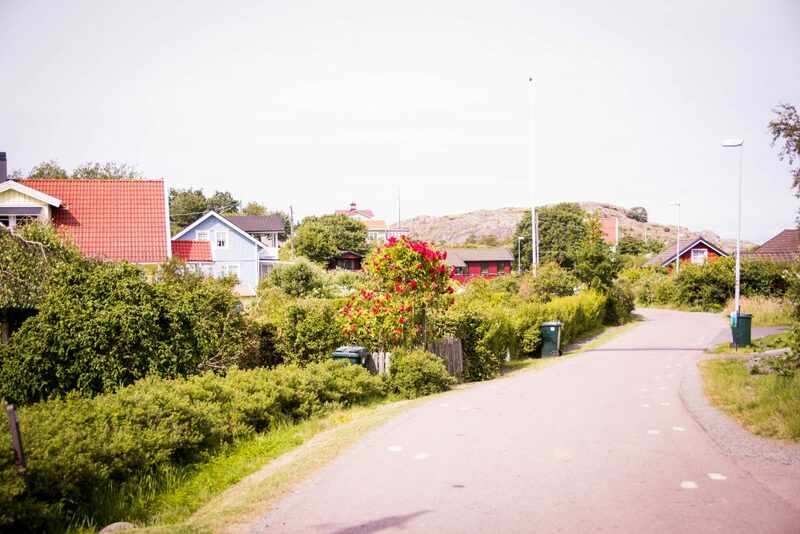 Even though none of the photos I happened to see were of Brännö (pronounced Br-eh-n-uh), I assumed the island would be just as lovely as the others. What I didn’t expect, after only spending a couple of hours on the island, was just how badly I would be resisting the urge to secretly move into someone’s disused toolshed. (As a tiny, little blogger, I didn’t dare give myself the luxury of dreaming about being the proud owner of one the island’s vacation homes). 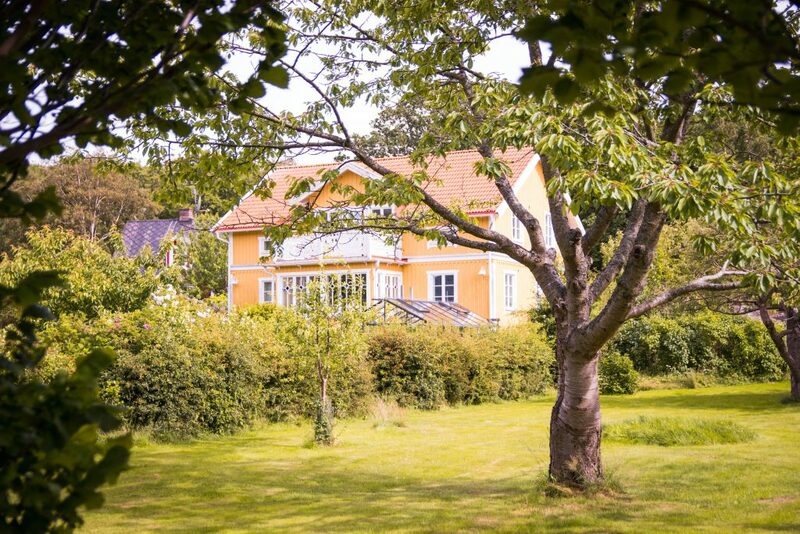 The idea of existing without running water and electricity didn’t even bother me, because I’d get to be in picture-perfect, idyllic, and eternally wonderful Brännö. I often tell my little brother that sharing is caring, so I better practice what I preach. 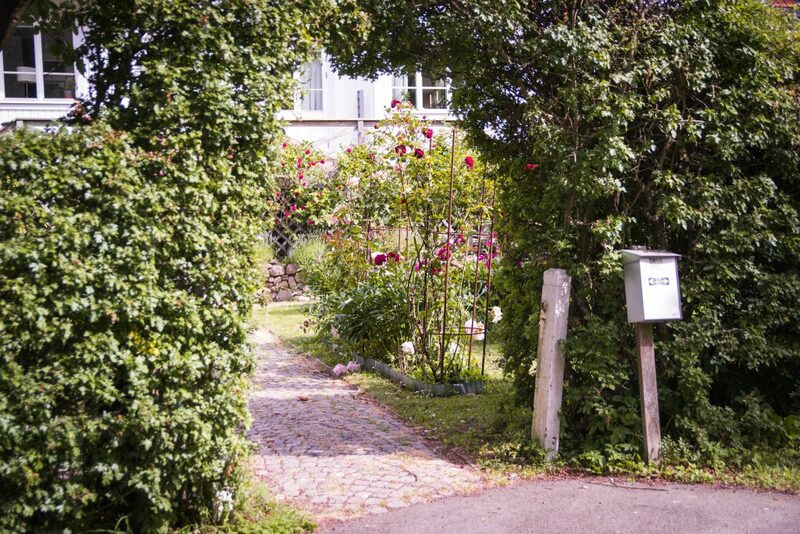 Therefore, today, I’ll be sharing the magical Swedish gem and island paradise known as Brännö. FYI: The straight-up facts about getting to, from, and around the island can be found at the bottom of this post. 3 minutes into the ferry ride out of Saltholmen. Another shot from the ferry. On Ferry 282 passing by Styrsö. A close-up shot of stunning Styrsö. Arriving at the Brännö Husvik Ferry Terminal. 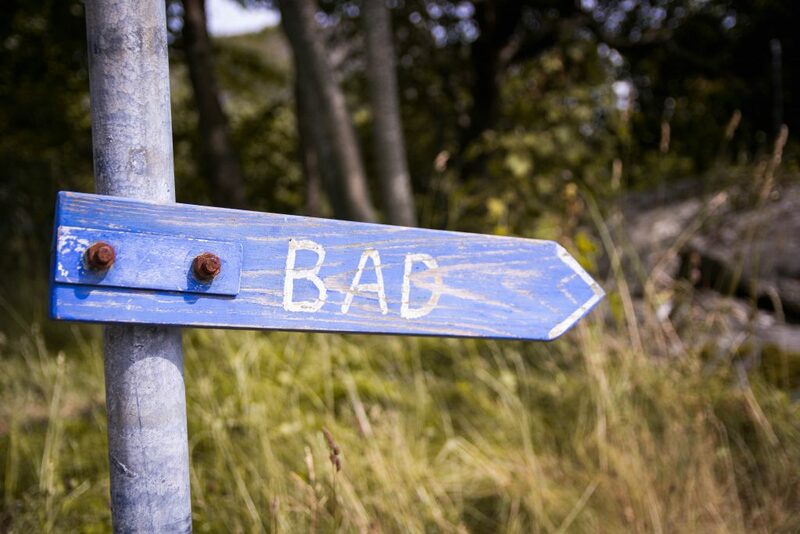 There’s absolutely nothing “bad” about Brännö. It’s just a Swedish sign directing us to the swimming (a.k.a. “bath”) area. Time to explore the heart of the island. A perfect little summer home. A rather grand vacation home. Brännöl, Brännö’s very own microbrewery with a super “punny” name (Öl is Swedish for beer). That door. Use it for a photo-op if no one is home. Roses upon roses upon white picket fences. One more spectacular sight before we finished crossing the island. Waiting for the ferry back at Brännö Rödsten. I wouldn’t have minded any ferry delays that day. 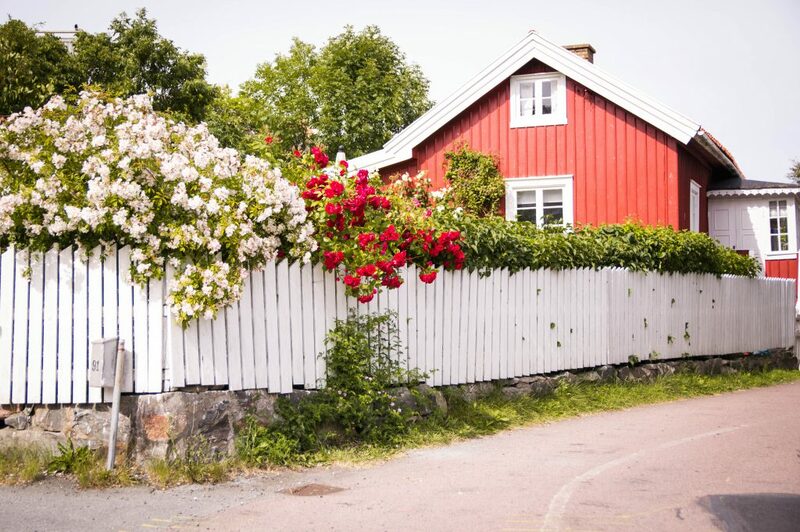 Planning on visiting Scandinavia and sharing photos on Instagram? Increase your reach! Please note that you will receive a confirmation email before receiving the link to the .pdf. Brännö is part of Gothenburg’s Southern Archipelago. The map in the section below pinpoints the island’s location. 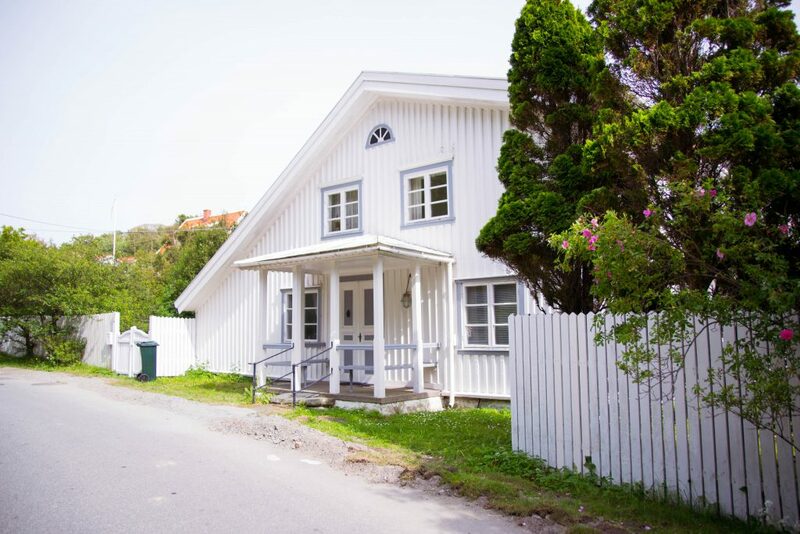 Brännö isn’t too far away from downtown Gothenburg, so it’s in the perfect location for a quick day trip. How Can I get to Brännö? You have to take a ferry in order reach Brännö. Ferries heading to the Southern Archipelago depart from the Saltholmen ferry terminal. You can talk Tram 11 from downtown Gothenburg to get to Saltholmen. The journey to the ferry terminal takes roughly 35 minutes from the city centre. 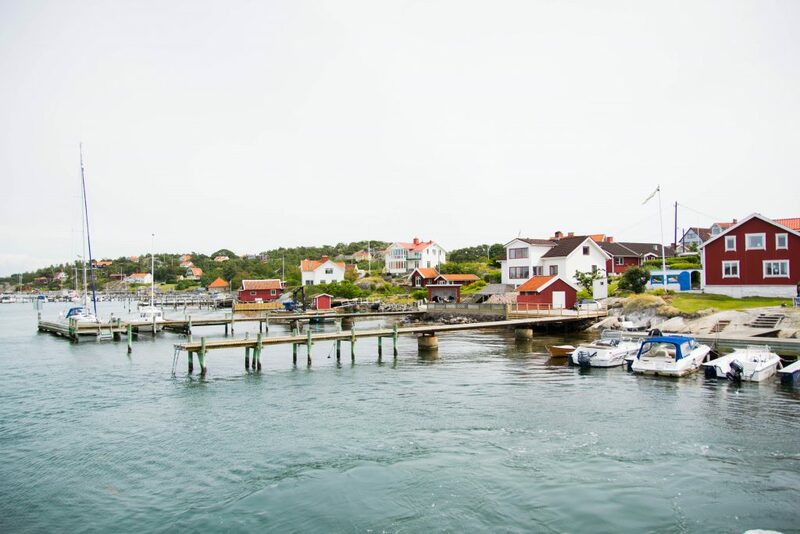 It’s worth knowing that Brännö has two ferry terminals on almost opposite sides of the island, so two different ferries travel to the island. 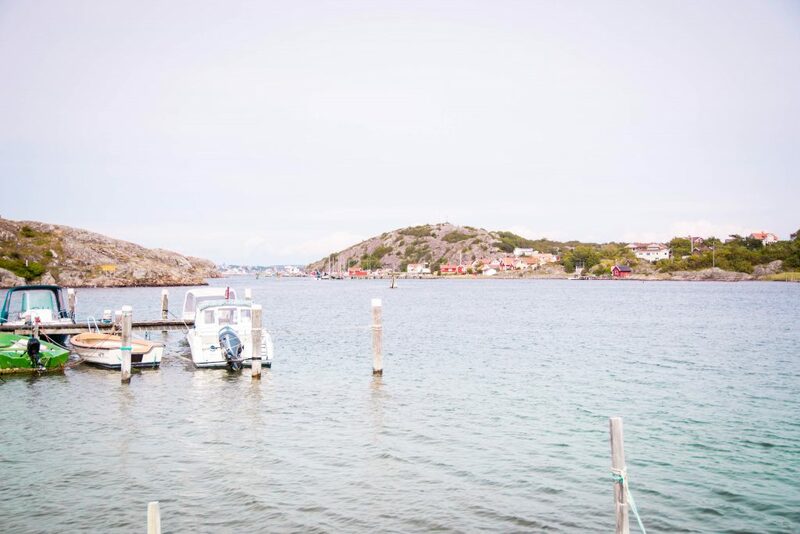 Currently, Ferry 282 travels to Brännö Husvik, which is found in the southern part of the island. This journey takes around 40 minutes since the ferry stops at a handful of other islands before getting to Brännö. Ferry 283 is a more direct ferry and travels to Brännö Rödsten, which is the ferry terminal found on the northeastern side of the island. A trip with Ferry 283 takes just over 20 minutes. 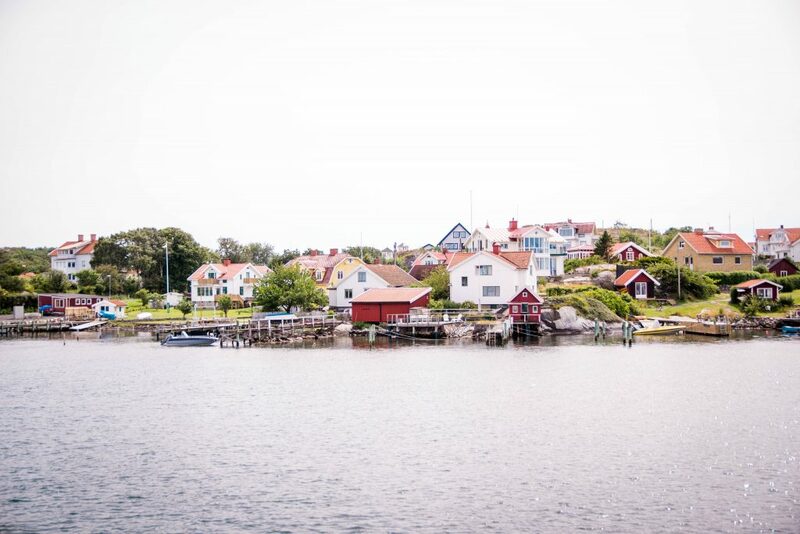 Click here to plan your trip to and from Brännö using Gothenburg’s public transportation system, Västtrafik. Västtrafik runs the ferries at Saltholmen, so trips to the Southern Archipelago are included on the company’s Gothenburg transportation passes. If you don’t want to buy a pass, you can choose to purchase individual tickets using the Västtrafik To Go App, or from a convenience store, such as Pressbyrån or 7-Eleven. How Can I Get Around the Island? No private vehicles are allowed on the islands in the Southern Archipelago. When visiting Bränno, you’ll mostly see people getting around on foot, by bike, on motorized scooters, or in the occasional taxi. 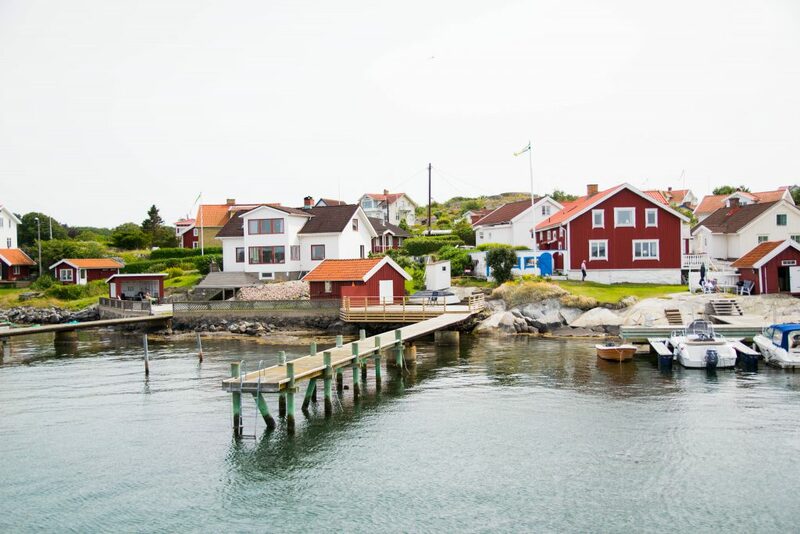 Overall, Brännö is a small island, so it’s perfectly possible to walk from one ferry terminal to the other in just over 30-minutes. If you feel like biking, you can rent a bike by the Brännö Rödsten ferry terminal (a working phone is needed to do so, because text-based bookings are a Swedish thing). Click here to find out more about renting a bike on the island. 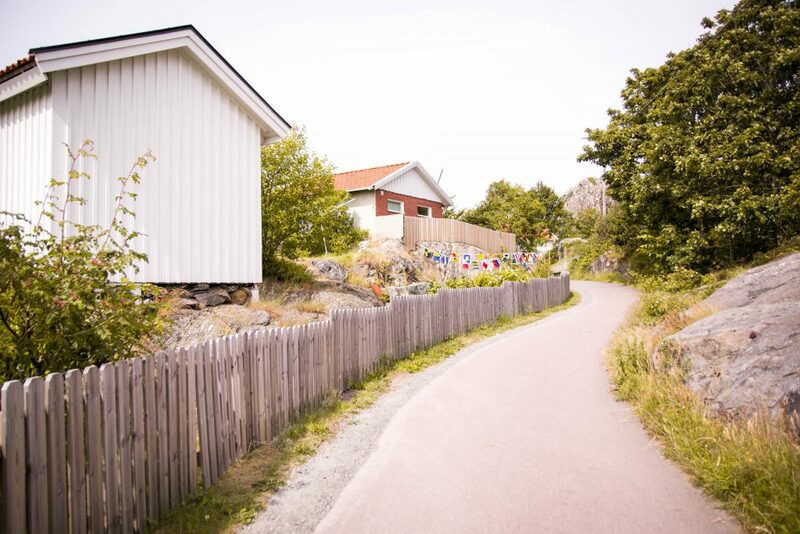 Most of the activities you can take part in on Brännö are based on the presence of warm weather. Therefore, late spring, summer, and early fall are the best times to visit the island. 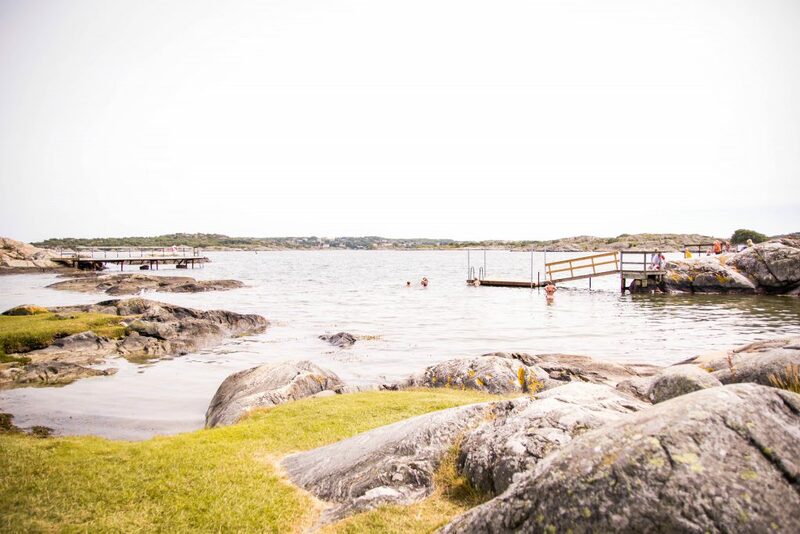 On Saturday evenings in July and most of August, dance nights take place on the Brännö pier. I highly recommend checking weather forecasts in advance, because Sweden can have pretty temperamental and surprisingly cool weather during the summer months. 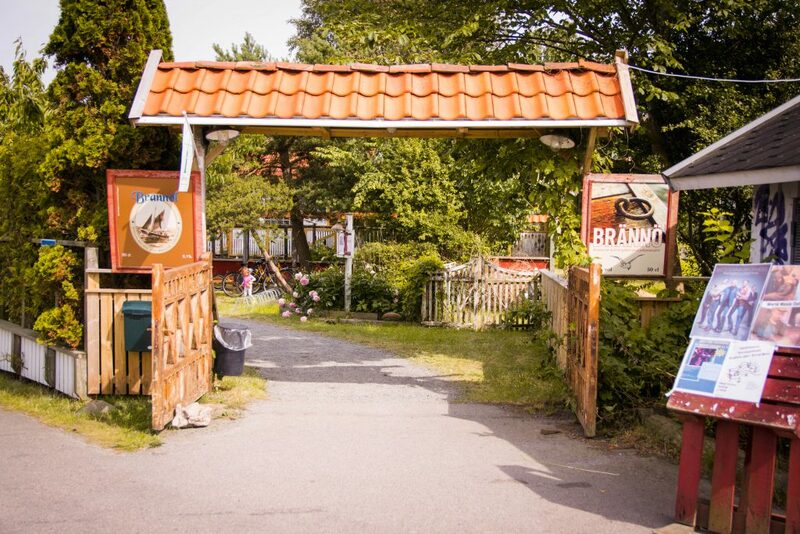 Do you want to go to Brännö yet? 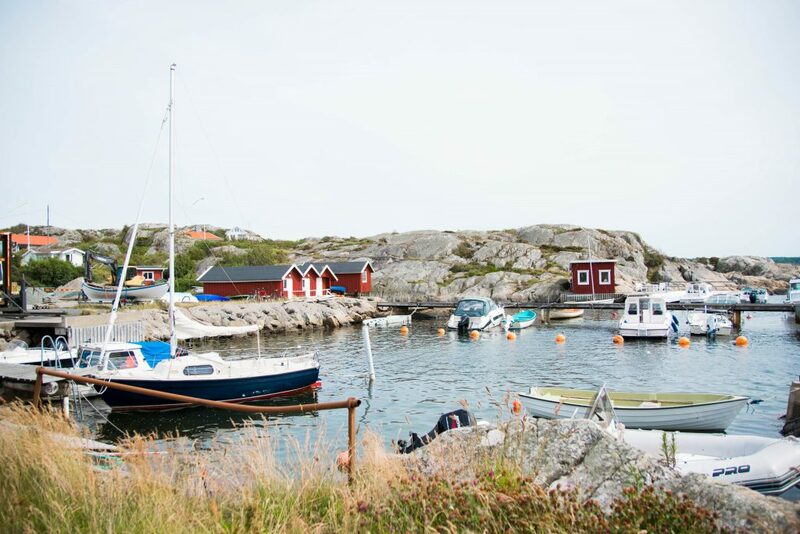 Brännö’s rocky coasts are just a small fraction of the wonderful sights and experiences the island has to offer in the summer. 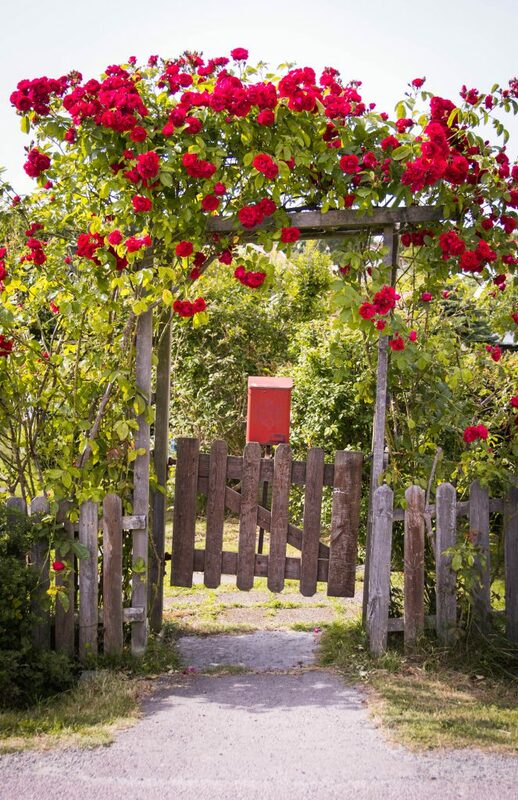 The abundance of lush rose gardens, ivy arches, white picket fences, and picture-perfect vacation homes made me constantly ask myself: Is this place really real? Do actual people get to live here? Yes and yes! 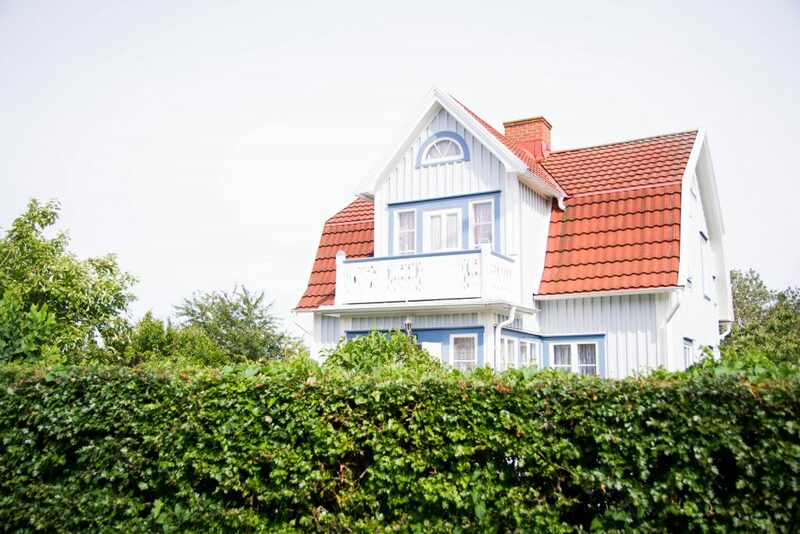 Located just a stone’s throw away from Gothenburg, I believe that Brännö truly belongs on everyone’s Gothenburg itinerary. While I ended up spending my afternoon in Brännö, there are still a handful of other islands to discover in the Southern Archipelago. 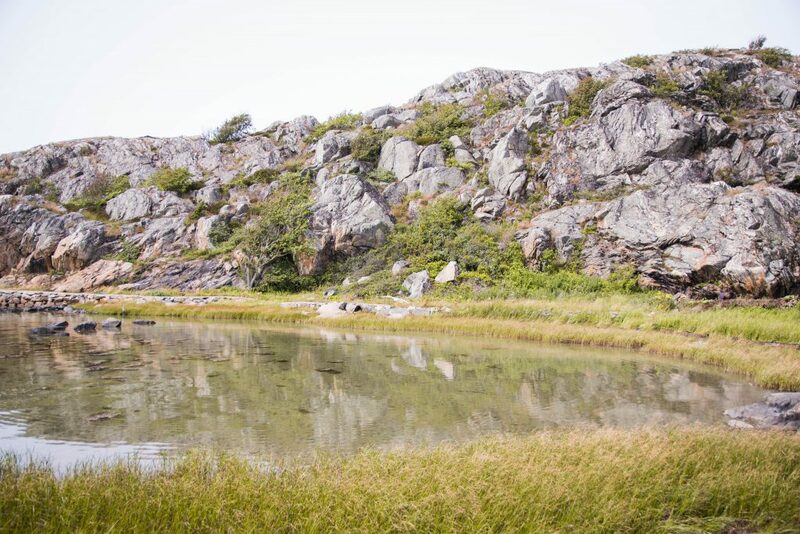 And I’m sure they’re just as amazing as Brännö (scroll up to take another look at those snaps of Styrsö). So to wrap things up, I guess I have to say that I’ll be paying Gothenburg another visit soon! Ever heard of Brännö? Would you like to go? Share your thoughts and experiences in the comments section below! Wow, love Branno! The town is so picturesque and looks so pretty from the ferry. seems perfect for a dreamy vacation! It definitely does appear that way! I would love to spend the night there. What a dreamy place! I would love to retire here some day – looks to peaceful. 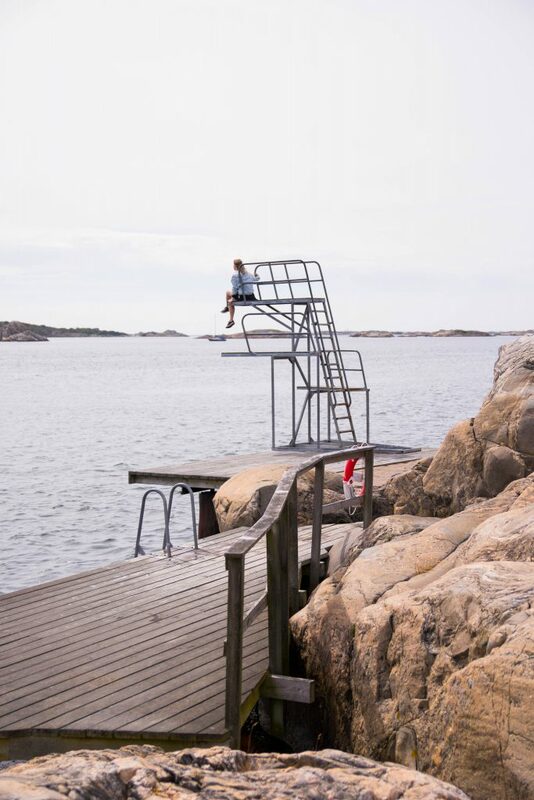 I LOVED following your travels around Gothenburg on Instagram. thanks for sharing Branno, it looks like an amazing place and I’ve definitely never seen photos before. Good find!! Thank you so much! It was too good to keep secret. Stunning photos! What a beautiful island. I hope to get to Sweden someday. Wow, what a quaint little island! Looks like the perfect place to spend a day! Though I don’t know how long I’d happily live with no running water or electricity! That’s just a little bit too beautiful, isn’t it? I’m imagining all the houses filled with perfect Gustavian furnture, blonde wood and lots of snuggly throws for out of season visits. And a microbrewery too. What a gorgeous place! It really is! I was so tempted to sneak into one of those vacation homes. Thank you for the detailed and useful post! This definitely makes planning a trip to Branno so much easier! Also the pictures are perfect! What a cute place! I have to say, it reminds me a lot of towns in New England in the US in Maine. So colorful but in a subtle way which is so nice and quaint. That’s really interesting to hear! I will have to pay New England a visit then! What a quaint spot! Your photos really capture the heart and beauty of this area. Definitely adding this to my wish list! I’m so happy to hear that! It’s one magical island! Wow what a cute little island! Youre right, it’s now on my list!! Thank you for providing so much helpful information about traveling there too! Thank you! And I am so happy to hear that it has made it onto your must visit list!